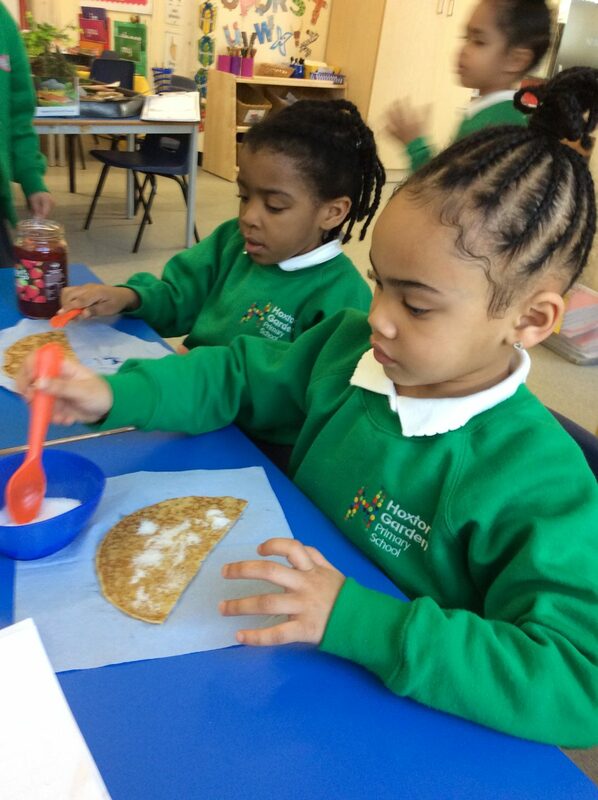 Hoxton Garden Primary School | Pancake Day! 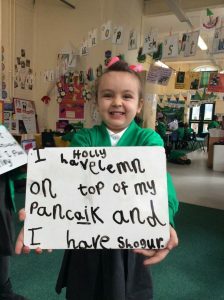 Children in Rose class have enjoyed making pancakes today. 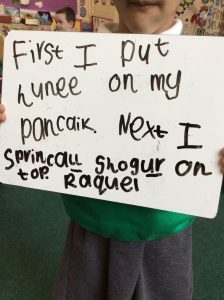 Alexis said “I love pancakes, my favourite topping is sugar!” Some children decided to write sentences to explain what toppings they used.